Congratulations to Jason on officiating in his 100thAFL match (Adelaide v North Melbourne) at Adelaide Oval last weekend. Jason lists his career highlights as his first game, the opportunity to umpire in China and his first final – the First Elimination Final in 2017 in a thrilling match where West Coast defeated Port Adelaide in extra time at the Adelaide Oval. 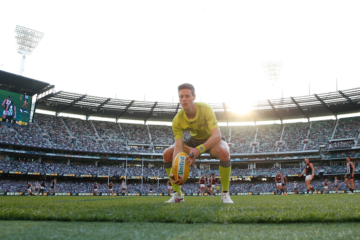 Jason went on to umpire one further final in 2017 – the Second Semi-Final at the MCG with Geelong overpowering Sydney by 59 points. 2017 was a year of new experiences for Jason. 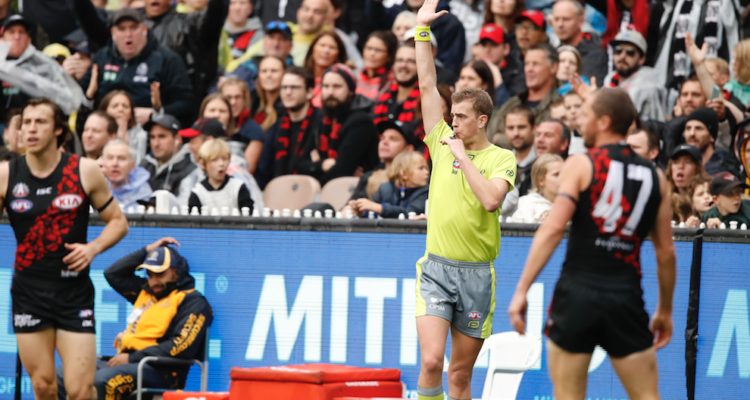 He was appointed to his first ANZAC Day clash at the MCG in April and followed that up in November when he joined boundary umpires Mark Thomson and Matt Konetschka in officiating in a hybrid game of International Rules between the Irish Gaelic team at a team of AFL stars played at Adelaide Oval. Jason is currently at the Police Academy in Adelaide and is completing his final year. He admits the training has been intense with ups and downs along the way. “Juggling the police workload and umpire training has been tough at times, so l have had to get better at time management.” He enjoys learning many new things and admits he has seen and experienced things that most people never get to. Jason loves boundary umpiring because you have the best seat in the house and you get to watch footy and hang out with mates. 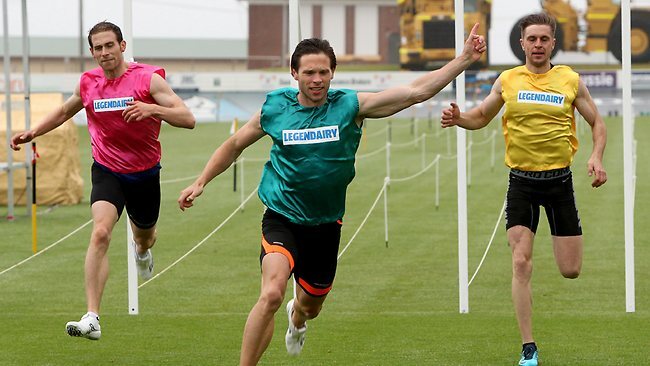 He also enjoys the challenge of running a game and pushing himself at training. His 100 games have made him smarter so that he now understands what is expected to umpire at an elite level and how to properly manage his pre-match and post-match recovery. Jason’s career hasn’t always been one way. At the end of the 2012 season, he was delisted after his first year following a decision to cut the list of Adelaide based boundary umpires from 10 to 7 for 2013. Rather than taking a negative outlook, he buckled down and worked hard to try and get another opportunity. In 2015, he was re-appointed, following Shane Thiele’s decision to move to move to Melbourne, and this experience has made him more appreciative of his place on the AFL Boundary list. Jason is particularly proud of the consistency of his throw-ins, however, he’s not so proud on one supporter’s observation that he runs like an emu. He prepares for each match by having the same meal the night before each match and double-checks (sometimes triple checks) that he has packed all his gear in his bag. Whilst Jason has a soft spot for the MCG, he loves Adelaide Oval because it is home and the atmosphere is awesome every week with either Port or Adelaide playing. We look forward to seeing many more milestones for Jason in the future. Congratulations!! !